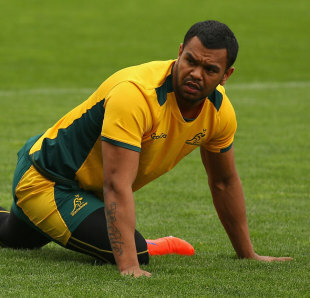 Wallabies star Kurtley Beale has been granted bail after appearing in court on an assault charge. Beale was in court after being charged with common assault relating to an incident in Brisbane back in June when he was in an alleged altercation with a security guard. Beale's lawyer Angelo Venardos told Magistrate Elizabeth Hall that his client and the victim were attempting to resolve the matter through justice mediation - out of court. The request was granted and Beale's case has been adjourned until August 22. Wallabies coach Robbie Deans hopes to have Beale in the selection mix for their Bledisloe Cup clash on August 18. "I understand his case has gone to mediation and has been deferred for eight weeks, so he'll be available certainly up to that point," Deans told Sportal. "As a result of that it would appear hopeful that there will be a resolution out of court, so that's encouraging."